Darwin day trips are perfect for anyone visiting Darwin who wants to have a crack at Barramundi fishing and only has a day to spare. Around 8 hours is spent on the water and transport, lunch, snacks, drinks and equipment are all included. 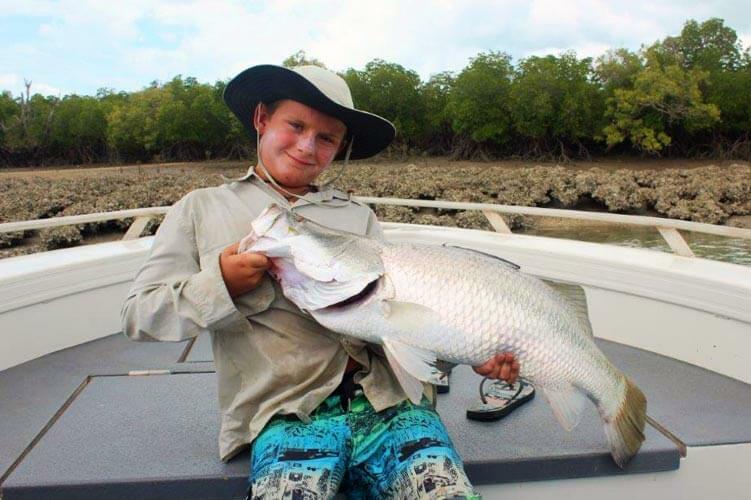 From late February – May depending on the wet season, Barramundi gather in the run-off creeks and big tidal rivers to feed on bait fish leaving the flood plains. This makes for an incredible time to fish some of the most picturesque spots in the NT with a good chance of catching barramundi. From May – November we target barramundi in the picturesque billabongs and river systems where many people just come for the scenery and wildlife. When tides and weather suit, we also do saltwater trips into the harbours and rivermouths where there is a variety of other fish to catch like threadfin salmon, queenfish, mangrove jacks, GT’s, golden snapper and more. 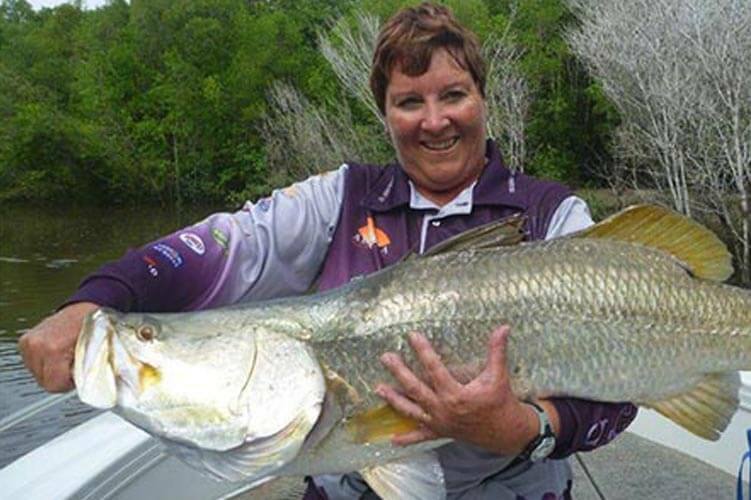 Run-off day trips out of Darwin are a great option for anyone looking to catch a Barra. February to May is the peak Barra season and can produce some of the hottest fishing of the year. 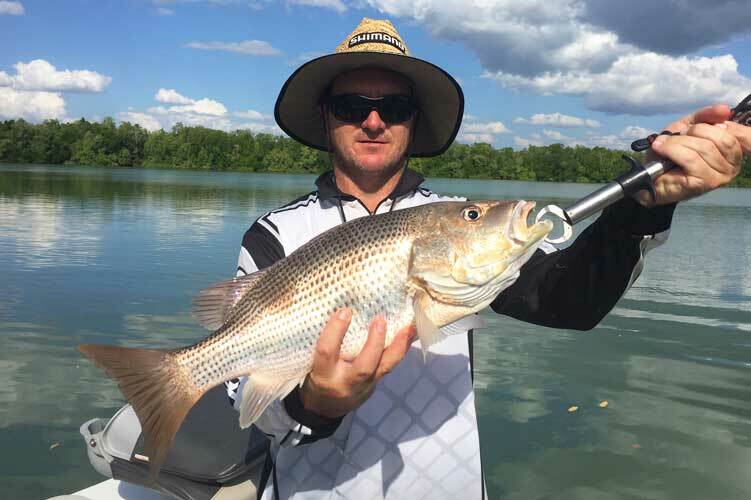 We focus on the large tidal rivers near Darwin as the end of the wet season triggers a feeding frenzy in the Barramundi. The whole food chain erupts with the inflow of nutrients and baitfish from the wet season floods. If you’re looking to travel off the beaten path and see some of the wildest landscapes and epic scenery the Northern Territory has to offer, our freshwater day trips offer you the very best of fishing in the territory wrapped up into one action-packed day. 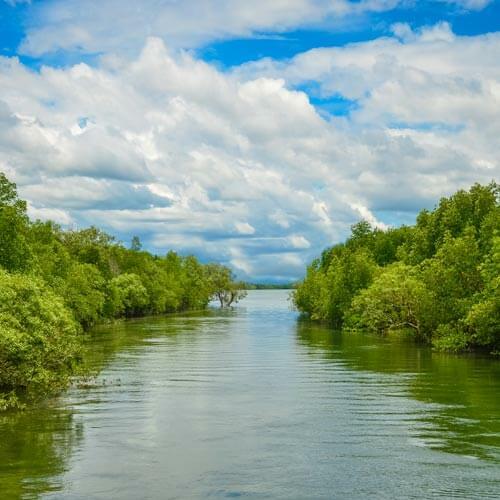 Expect to come face to face with big Barramundi, saratoga and tarpon and catch a glimpse of a variety of stunning wildlife including crocodiles, dingoes, buffalos, flying foxes and birds such as the native Jabiru. 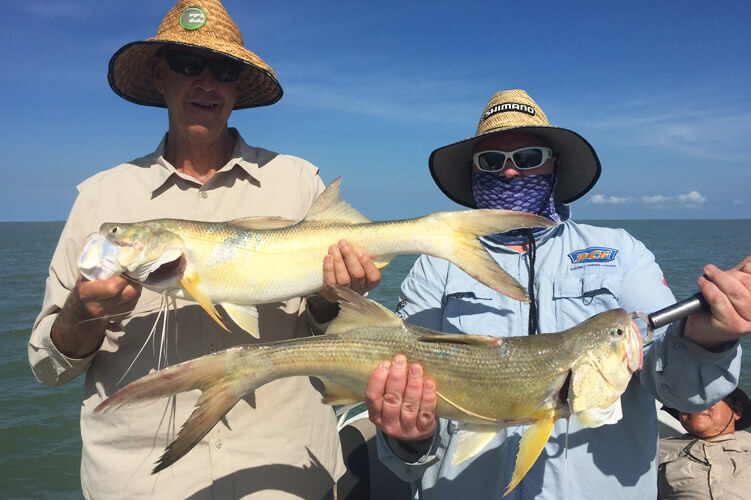 Our saltwater day trips combine both river fishing with blue water fishing where you’ll get a crack at chasing that big barra you’ve been dreaming of. But the action doesn’t stop there – by fishing in the saltwater you’ll also have an opportunity to reel in a variety of fish including threadfin salmon, queenfish, mangrove jack, golden snapper, trevally, mackerel, estuary cod and so much more. Any fishing tackle lost or damaged must be replaced at your own expense. Fly fishing tackle not supplied. For day trips alcohol is BYO only, please bring cans as no glass is permitted. For extended trips alcohol can be arranged by us in advance.